According to legend, the name San Marcos can be attributed to a group of Spaniards who, while out on a mission to capture suspected horse thieves, accidently stumbled upon a beautiful little valley on the feast day of St. Mark. This little valley would remain sparsely populated for years to come, as a Mexican land grant tenanted by vaqueros, an agricultural salvation for homesteading early Californians, and the site of small towns that would nearly disappear between the pages of history. 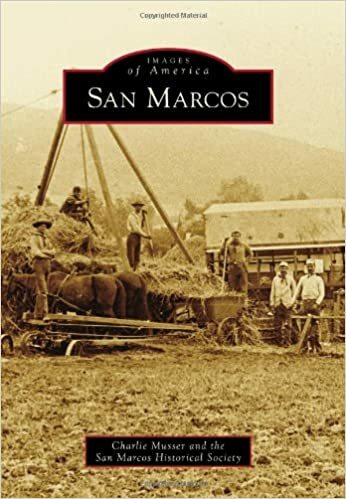 With the arrival of the Santa Fe Railroad, eventual official incorporation in 1963, and continuous progression today, San Marcos has formed an identity as a prospering and growing community that still retains the feel of a rural small town.